What's your favourite Society or Exhibition wine? From the Smith Woodhouse stable of the Symington Group, this is a fine, concentrated and richly flavoured Port with excellent 'grip' and ripe tannins. 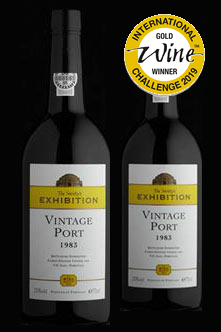 OK at £54 this Vintage Port is not the cheapest exhibition wine - but blimey it’s the finest. Does this whisky count as an exhibition wine ? 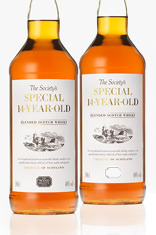 An exceptional blended whisky made to our specification from a blend of fine old malts and grains that The Society acquired as ‘fillings' when first offered by the distilleries. For the purpose of the tasting I’d propose the Jumilla. It was in a case of Spanish wines that I ordered a year or so ago and I was seriously impressed at the quality for the price. I’ve since reordered it (I’ll order more soon) as I’ve subsequently developed quite a taste for monastrell /mourvedre /mataro. Surely you don’t need to showcase the bigger sellers such as the white burgundy or the NZ chardonnay and whilst I don’t know how well the Jumilla sells, IMHO, it ought to be given the plug that it deserves.